This home is all about feeling and comfort. The design and layout convey a wonderful feeling of privacy, ease and relaxation in every room, out on the deck, or in the spectacular garden. A floor plan that allows for your creativity. Whether it's an inlaw area, a granny area or a get a way for kids area the point is it is a finished area and not a 'basement' area. Luxurious master suite, large kitchen with granite counters, oak flooring and patio doors that leads to a 19 x 7 deck. Some ocean, city and mountain views as well as views of Government House. 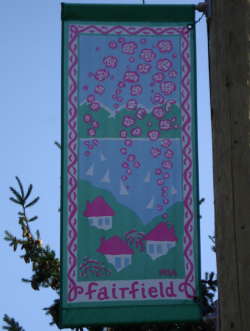 Walk to Margaret Jenkins Elementary, Gonzales Bay, Fairfield Plaza. Close bus routes to UVIC, Oak Bay Village and downtown. All appliances, window coverings, office mahogany colored furniture and wall shelving in the rec room remain. Situated on the top end of a private cul de sac with only a few homes (yearly strata fee approx. $1,005.) Roof replaced in 2005 - Parker, Johnston PABCO 30 Weathered Wood fibreglass laminated shingles. Some of the garden highlights include; Weeping Sequoia, Austrian Pine, Goose-Neck Loosestrife, Berginia, Japanese Maple, Skimmia Japonica, Hydrangeas, Smoke Bush, English Primrose and False Cypress.